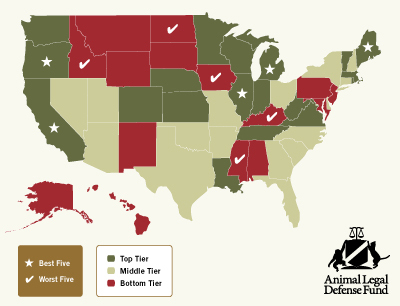 Kentucky, North Dakota, Idaho, Mississippi and Iowa are the five best states in the country to be an animal abuser, according to a new report released today by the Animal Legal Defense Fund (ALDF). Based on a detailed comparative analysis of more than 4,000 pages of statutes, tracking fourteen broad categories of provisions, the report recognizes the states where animal law has real teeth, and calls out those like Kentucky — the single worst in the nation for animal protection laws for the fourth year running — where animal abusers get off easy. 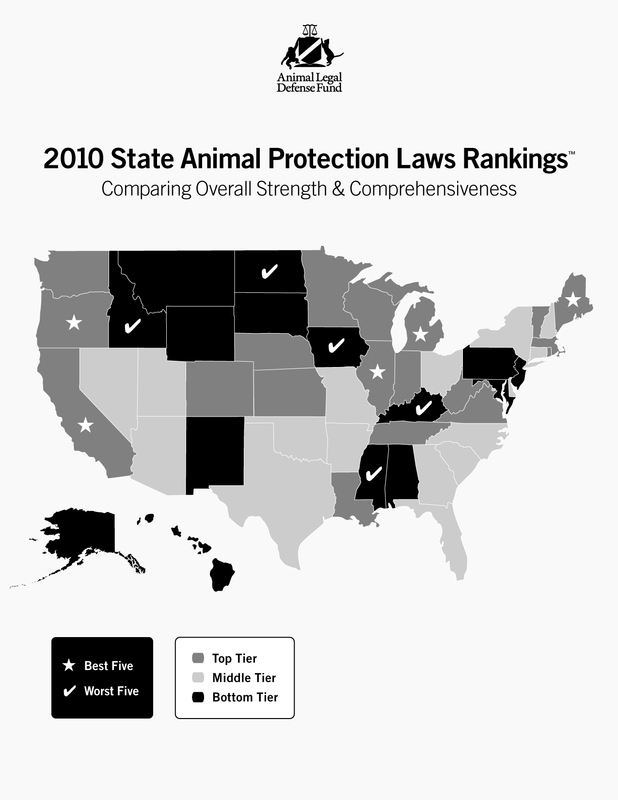 ALDF’s fifth annual state rankings report, the longest-running and most authoritative report of its kind, ranks all fifty states, the District of Columbia, Puerto Rico and other U.S. territories for the general comprehensiveness and relative strength of their respective animal protection laws. Why are these five states in the dog house when it comes to getting tough on animal abuse? The legislative weaknesses seen in the states at the bottom of the animal protection barrel include severely restricted or absent felony animal cruelty provisions, inadequate animal fighting provisions, and lack of restrictions on the future ownership of animals for those convicted of cruelty to animals. On the other end of the spectrum, this year’s “best five for animals” list remains unchanged from 2009, with Illinois, Maine, Michigan, Oregon and California demonstrating through their laws the strongest commitment to combating animal cruelty; for the fourth consecutive year, Illinois was the very best of the best for the strength of its laws protecting animals. Alaska showed the most improvement, moving from 44th last year to 37th overall this year. West Virginia, Minnesota, Oklahoma and Arizona all improved their standings due, in part, to the adoption of laws that allow animals to be included in domestic violence protective orders. ALDF was founded in 1979 with the unique mission of protecting the lives and advancing interests of animals through the legal system. 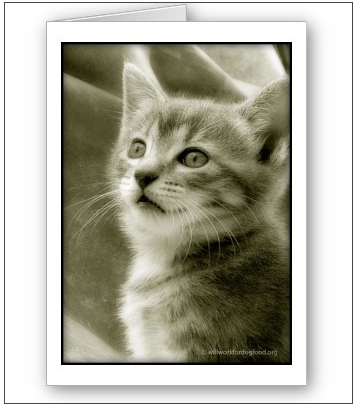 For more information, including a copy of the state rankings report and a free downloadable version of the complete compendium of state anti-cruelty laws (US and Canada) on which the report is based, please visit www.aldf.org. Note: The District of Columbia, Puerto Rico, Virgin Islands and other territories are included in this report and are italicized. The Best Five and Worst Five categories are limited to states. Thanks for sharing this important information. Do you have any resources on what people can do if they want to help create change? At least MO just got a little better (maybe?) with the passage of Prop B. I wish we had better federal laws protecting animals.